Could Playable Valgern-On Have Worked In Extra? Yes or No? 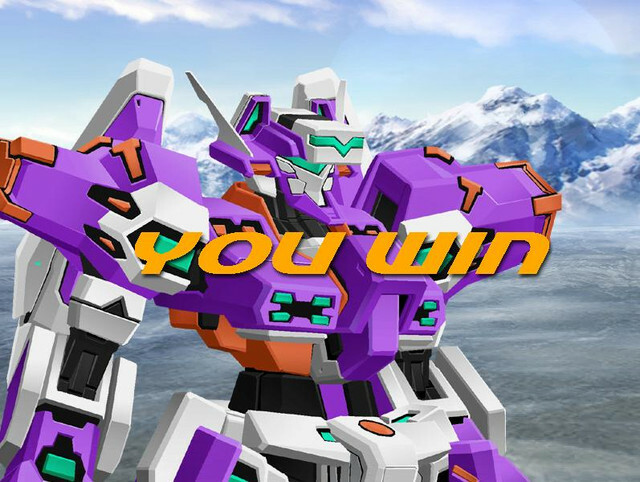 - Muv-Luv Extra/Unlimited - The Muv-Luv Community Forum! 1. Would you have liked the Valgern-On segments to have been playable? Totally! It would have been awesome for a sudden genre shift to happen and us getting to play the game! The Dialogue changing as you play it would have been Dynamic! No Way! The sudden genre shift in the game and different controls would have broken the narrative flow of the main game! Having the game's actions determined by choices is better overall! Having Valgern-On as a separate Mini-Game is better! Those choices are way too long. As for my answer, nope. It would require a large amount of work on the mechanics to make it fun and in the end it would just be rather detrimental to the story. After all Takeru was the one who got good at controlling TSFs through Valgern-On. Not you. I picked option 3 as I think it's the best way to have an entertaining distraction without compromising the narrative too much. It would have been a nice extra after finishing the main story, but honestly you're better off just playing Virtual ON. guess mini game it is. Yeah I guess since having it as a Mini-Game doesn't interfere with the Main Game at all and it gives the satisfaction of having the game be somewhat playable. Absolutely #1. Or rather more than just Valgern-on but the Training Simulator or throwing in some Not SRW with the gameguy would have worked as well. Takeru being a gamer and having this mentality all the way through Extra and Unlimited it would have made perfect sense. After all Takeru was the one who got good at controlling TSFs through Valgern-On. Not you. The point was actually to make the reader feel like Takeru himself. You could take the above mentioned and depending on your performance you could get a different route resulting in Alt V or Alternative IV. Considering how the trilogy was originally planned to be one game it's almost an idea that fits too well. You know how much work that is, right? And I doubt it would be doable in-engine - it would most likely need to be a separate stand-alone game, since the requirements for VNs and 3D action shooters are very different engine-wise. Yar, but have you ever played this old game called Xenogears? It made me think of it. Something basic like that'd be great. Honestly, it's what I think ML took inspiration from. I read you 5x5, but look at what you picked - it's simple, but it's still a 3D engine. My guess is that the engine AGE is using has none of this in place. They could always take a 3D engine and build a VN with it but going the other direction is much harder (not "difficult" but it would be more work to add 3D to their current engine than to build a VN framework in Unity for example). I mean, technically these days any 2D engine is really a 3D engine under the hood (unless the base is extremely old you're probably rendering a texture on a quad and just filling the camera with it), but you still have to add terrain systems, collision, models and animation, etc from scratch if you're starting from a 2D engine and going 3D. Worst case scenario you're using something really tacky like Windows Forms (or even older, GDI) to display images directly in a control - which would totally work for a Windows VN, but just ugh. Not entirely sure what the render fill rate is for the current engine but most machines should be able to keep up with this these days. The more I think about it, the cooler I think it'd be to see a stand-alone game made in, say, UE4. If you ever played any of the Mechwarrior games, I imagine it like that but much faster paced - sort of Mechwarrior meets Unreal Tournament, with cool stunts and maneuvers in the mix. Add a cool story to it and you could literally play a game where you're an Eishi on the front. The annoying thing about that is... I could put a rough together pretty easily if I could get the art/audio assets.